The Bottom Line: The snowpack in the Snoqualmie Pass area seems to be gaining strength. That doesn’t mean we are out of the woods yet. You may still find pockets of unstable storm snow at higher elevations, and in wind prone areas. When the sun comes out, snow conditions can change quickly, and may produce loose wet avalanches. Thursday was pretty quiet in the Snoqualmie Pass area. We did not receive reports of any new, notable avalanches. However, evidence of Wednesday’s avalanche cycle was easy to find. Debris from several large and very large avalanches was observed on Denny Mountain and around Source Lake. 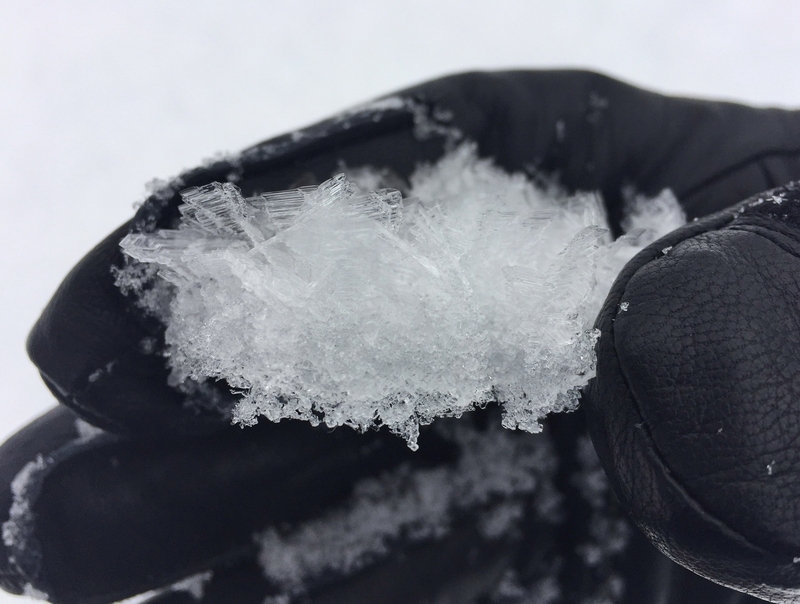 The layer of buried surface hoar from January 17 is not as prevalent near Snoqualmie Pass, as it is in the nearby Stevens Pass and East-Central zones. That doesn’t mean it is absent. You would be most likely to find this persistent weak layer 1-2 ft below the snow surface in areas near Stampede Pass, or valleys outside of the main Pass locations. The lower elevation snowpack continues to creep and glide under the weight of recent rains. While no glide avalanches have been reported, they are on our mind. If you see crevasse like features on a slope, limit you exposure by avoiding traveling on or below these areas. Warm air temperatures and sunshine will continue to create wet snow surface conditions on steep southerly slopes. Be leery of sun-exposed terrain, particularly after a few hours of direct sun. If you see rollerballs or experience wet surface snow deeper than you ankle, loose wet avalanches are becoming more likely on similar slopes. Even small loose wet avalanche can be harmful if you are in confining terrain features, such as gullies or chutes.